New customers depositing with a UK Credit/Debit card only. Bet £10 at odds of evens (2.0) or greater. Get 2x £10 Free Bets for sports and a £10 Casino Bonus. Each Free Bet must be used once in its entirety. Casino Bonus has 30x wagering to withdraw bonus & winnings - max winnings is £500. Stake contribution weighting & game restrictions apply. Bonus funds expire after 7 days. T&Cs apply. The promotion is only available to customers of MansionBet who are at least 18 years of age and who have not previously made a real-money deposit into their Sports Cash Account. This promotion is only available to customers residing in the UK and Ireland and is only available in GBP. New customers must register through the appropriate link to be eligible. When you place a qualifying bet, upon qualifying bet settlement you will receive 2 X £10.00 in Free Bets, redeemable on any sporting event subject to the restrictions on free bets outlined below. In addition to the Free Bets you will also receive 1 X £10.00 Casino Bonus. Your welcome offer package will be added to your account once the system has been updated and this will usually be within one hour of qualifying bet settlement. If you have not received your welcome offer package after accepting the promotion pop up within one hour please contact our support team for assistance. This offer is available for new MansionBet customers only, previous or existing MansionBet customers are not eligible. This offer is limited to one per person, household, IP, device, email address or payment details. Only participants depositing with a UK Debit/Credit card will be eligible for this offer. All other payment methods do not qualify.  To qualify, place a real-money bet of at least £10.00 on any sporting event at odds of evens (2.0) or greater. Once your qualifying bet is settled, Opt-in to this promotion by clicking ‘Accept’ on the promotional pop ups when prompted. The following bets are not eligible for this offer: Cashed Out bets, Forecast, Tricast, System bets & bets placed at the Starting Price (SP). Upon receiving your Free Bets, you will be able to redeem them on any sporting event (excluding virtual sports and Casino games). Free Bets cannot be redeemed on the following bet types: Forecast, Tricast, System & Virtual Sports Bets. Free Bets can be redeemed on pre-match and in-play events. When Free Bets are activated on your account, upon entering a selection to the bet slip, you will have the option to redeem your Free Bets. Simply select the drop down ‘Select your free bet’ select the active free bet and place your bet. If you fail to redeem your free bet, they will be retained on your account until they expire and any bets will be made using your real money bankroll. Free Bets must be used to their entirety (ie the full £10) – they cannot be placed on a succession of smaller bets. Free Bets cannot be redeemed on each way selections. Free Bets cannot be redeemed for cash at any time and must be used to place sports bets only. Once you have placed your free bet, any winnings you have made from your free bet will automatically be transferred to your account balance. Free bet stake is not included in any bet returns. For example, if you win £100 using your £10.00 free bet, you will be entitled to a return of £90. (minus the stake of the Free Bet). If your Free Bet is voided, you will not be entitled to any refund and no additional free bet will be awarded. Free Bets expires after 7 days of issue. Failure to redeem the free bets in this timeframe will result in the free bets expiring and being deleted from your account. Free Bets cannot be used as a qualifying bet for this or any other promotion. Qualifying bet must be placed with real money to be eligible. Free Bets cannot be Cashed In. This means the Cash Out facility will not be available when you place a bet using a Free Bet. The Casino Bonus must be wagered within 7 days of issue. Failure to do so will result in the bonus amount and any associated bonus winnings being forfeited. The maximum in bonus winnings that can be redeemed after the casino bonus wagering requirement is completed is £500. Any bonus winnings funds above this amount will be automatically voided on completion of the bonus wagering requirements. The stake contribution weighting shown in the table below ("Stake Contributions") apply to the Wagering Requirement. All “Hi-Lo” games, Football Rules, Mini Football Rules, Wild Gambler, Wild Gambler 2: Arctic Adventure, Time for a Deal, Highway Kings, Highway Kings Pro, Highway Kings Mini, Golden Tour, Desert Treasure, Desert Treasure II, Captain’s Treasure, Captain’s Treasure Pro, Captain’s Treasure Mini, Halloween Fortune, Goblins Cave, Tres Amigos, Cinerama, Diamond Valley, Diamond Valley Pro, Jungle Boogie, Ugga Bugga, Funky Monkey , Mr Cash Back, A Night Out, Jin Quian Wa, Blackjack Switch, Blackjack Surrender, Dead or Alive, Bloodsuckers, Bloodsuckers 2, Football Studio, Big Bad Wolf, Jungle Spirit: Call of the Wild , Jackpot 6000 , Immortal Romance , Dead or Alive, Jack and the Beanstalk, Steam Tower, Victorious , All double-up on slots. Any real money casino bets placed will be funded by a player's deposit first. Bonus funds will only be used once the deposited amount has reached 0. In the event of a “mixed” bet, i.e. one which is made up partly of deposited funds and partly of bonus fund – any winnings generated will be applied proportionally. Please see our General Promotional Terms and Conditions for full details on mixed bets and general wagering information. If you choose to opt out of the Welcome Bonus, this cannot be applied to your account at a later date. You are only allowed one active real money casino account. If a second account is opened it will be closed and all bonuses and winnings may be cancelled. You will be able to withdraw your real cash balance at any time without it affecting your free bets. If you become restricted from placing sports bets on your account (other than due to a breach of these promotional terms), you will still be entitled to use your free bets as part of this promotion by contacting our customer support team. The maximum real cash benefit that you could receive as winnings from any free bets will be capped at £5,000.00 as outlined in our General Promotion Terms & Conditions. In order to ensure that customers can participate fairly in all our promotions, we need to reserve the right to exclude you from participating in this promotion. If we reasonably believe that you have breached any of these promotional terms and conditions, including abusing this promotion, we may, at our sole discretion, exclude you from participating in the promotion and remove your bonus funds from your account. The following are examples of the types of behaviour which we consider to be a breach of these promotional terms and conditions: a) using multiple accounts or colluding with other individuals to try to obtain more free bets than the maximum permitted per customer; b) attempting to hide your country of residence to get around country restrictions on a promotion; or c) attempting to conceal your age to place bets if you are under 18. This promotion cannot be used in conjunction with, or contribute to, the eligibility for any other promotion. MansionBet reserves the right to suspend, modify or cancel this promotion at any stage without prior notice. MansionBet’s general website terms and conditions, including the MansionBet General Promotional terms, apply to this promotion.